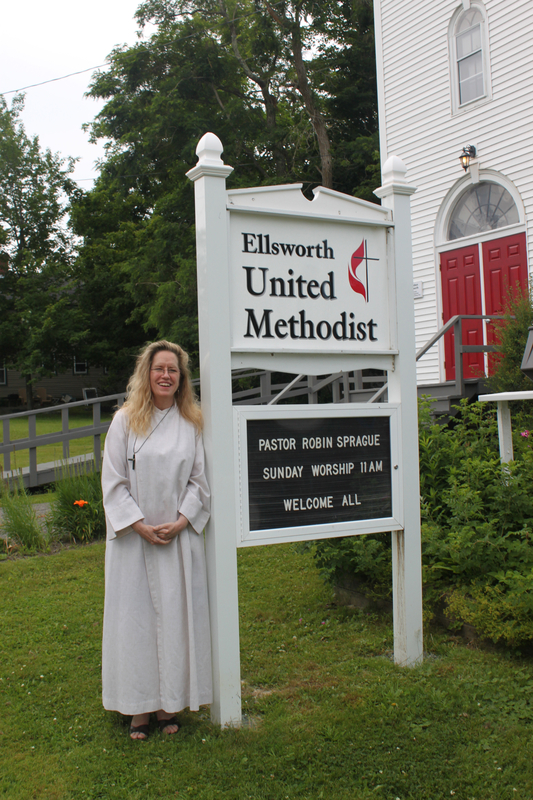 The Ellsworth United Methodist Church welcomes Robin Sprague as its new pastor.A clinically licensed counselor and hospice chaplain,she trained at Boston College and Harvard Divinity and has recently served on the ministry team at Grace United MethodistChurch in Bangor. Pastor Sprague has a firm belief in the importance of small and welcoming spiritual community as a means for people to experience care and belonging in the light of the teachings of Jesus. She is concerned that people are seeking Spirit, or a sense of the Divine, but do not understand the need for coming together in this journey. “There is no perfect church,” says Sprague, “there is only the raw material of who we are, here and now, and we have to work with that. Acceptance and respect are the real foundation of spiritual growth. Grace provides the rest. Miracles happen but we have to join with one another first. She welcomes any visitors or those curious about Christian faith. Sunday worship is 11:00 at 21 Hancock St., Ellsworth, Me.